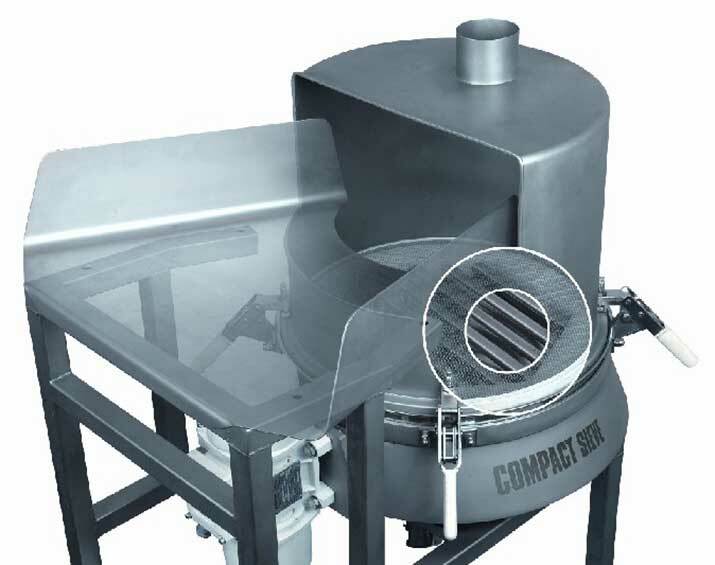 With stricter guidelines needed within the food industry Russell Finex have developed the Russell Compact 3in1 Sieve™. This sieve incorporates a bag sieving station that helps food companies safeguard the quality of their food products in accordance with European legislation. HACCP (hazard analysis critical control point) is a preventive system strictly applied in all European food-manufacturing companies, and in many other companies throughout the world to identify areas of potential contamination. In situations where ingredient bags are split prior to blending or mixing, contamination of the raw materials is a real concern. Operator health and safety issues also include limiting the dust created from manual handling of bagged ingredients in the production environment.